1964 Dodge Convertible Cast Chrome Well Trim. 1966-70 Convertible Top Header Seal. Sold Each. 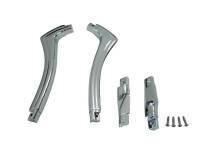 1966-70 Convertible Top Weatherstrip Kit. Sold as a Kit. 1967-69 Convertible Top Header Seal. Sold Each. 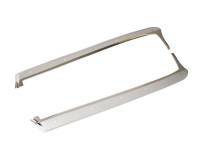 1967-69 Convertible Top Weatherstrip Kit. Sold as a Kit. 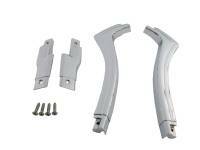 68-70 Dodge bbody convertible trim - 4 piece set. 1968-70 Plymouth B-Body Convertible Trim. 4-Piece Set. 1968-70 Quarter Window Seals, Convertible. Sold as a Pair. Convertible Top Tension Cable for 1966-70 B-Body. Sold as a Pair. Interior Trim Screw Set for 1967 GTX Convertible. 112 Screws. Interior Trim Screw Set for 1969-70 GTX, Road Runner, Super Bee Convertible. 108 Screws.